I once saw a mention (on cracked.com) that Napoleon, whom pretty much everyone believes was of very short stature, was actually close to average height for his time/demographics, and that the short height that is commonly ascribed to him was due to lack of standard measurement in Europe during his life. Is there any plausible historical evidence to address this issue? E.g., impartial textual or painting artifacts depicting his height (from sources who would have had no reason to distort it up or down); or better yet, biological reconstruction from skeletal remains; or some material artifacts that he owned (clothing/bed/weapons/etc.)? According to this page which cites "Steckel, Richard H. and Roderick Floud (eds. )Health and Welfare during Industrialization Chicago : University of Chicago, 1997" as a source, the average height of a Frenchman between 1800 and 1820 was 164.1 cm. "If one refers to the Memoirs of Marchand, t. II, 1955, p.338 "the total height of the crown to heel is 5 feet, 2 inches, 4 lines", or (French measures) 32.47 cm X 5 + 2.7 X 2 + 0.22 X 4 = 1m 68.6. These measures have been taken by Antonmarchi helped by Marchand. For its part, the No. 8 (January 1963) Bulletin Quarterly information fields of French St. Helena, the Journal of Andrew Darling, English upholsterer who was responsible for taking exact measurements that I am assisted by General Montholon: size 5 feet, 7 inches, or (English measure): 30.47 cm X 5 + 2.54 X 7 = 1m 70. From these two stories we can conclude that the size of Napoleon was not lower 1m 68.6"
Dr. Antommarchi did perform the autopsy on Napoleon. While an original source detailing Dunan's claims appears to be difficult to find, he is cited often in relation to Napoleon's history. Napoleon's height was stated to be 5'2 inches. The inches were French rather than British. When converted, it would have been equivalent to 5 feet and 7 British inches which is a respectable height. Napoleon surrounded himself with tall bodyguards and had a nickname of le petit caporal. Non-Francophones mistakenly interpreted petit by its literal meaning of "small". In fact, it was an affectionate term that reflected his reported camaraderie with his soldiers rather than his height. 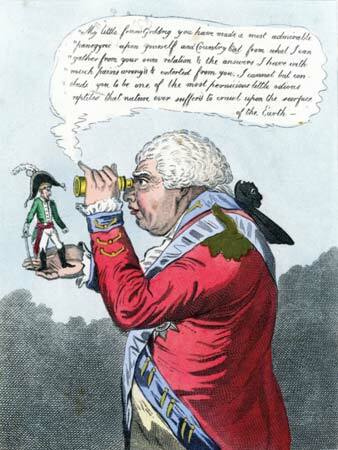 British propaganda, especially the caricatures by James Gillray built upon this by portraying Napoleon as short and temperamental, and the British as tall and clever. I would imagine you would have to refer to the average height of the men who were around him...so in that context, say relative to his own or opposing Generals he might physically be seen as "short." He was never an imposing figure like say Loius XIVth was. But he did have his trademark hat...and he could ride a horse too so in that sense "he was above you"...and if you were going up against him personally in Battle you would know it as Spain found out...and the English too. Not the answer you're looking for? Browse other questions tagged napoleon persona or ask your own question. 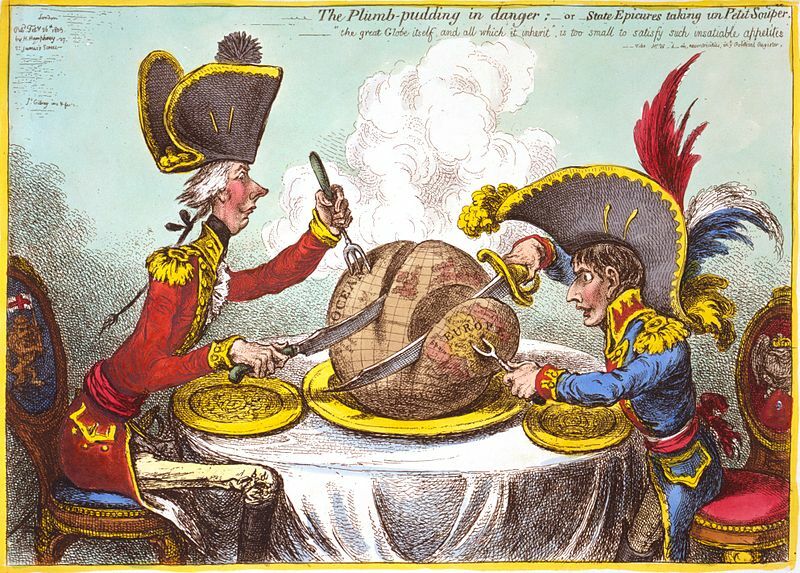 What role did British cartoonists play in the early 1800? Who decided to bury Napoleon in the Dome of Invalides?